Miss Great Britain has told of her disgust after she was chosen as a finalist in a 'farcical' Malaysian beauty pageant – only to be replaced by the home talent. Saffron Hart was one of five girls selected for the top prize at Miss Tourism World in Malacca when the final was scrapped and started again. The official reason given was that there had been a technical hitch in adding up the judge's points, meaning three of the original finalists - including Saffron - did not make it through to the rebooted final. Half of the girls refused to return to the stage when Miss Colombia was eventually crowned Miss Tourism World 2018 - by embarrassed presenters and in front of a stunned audience. Saffron, 27, from Hull, told MailOnline: 'I was so in shock that I couldn't believe that this farce was happening. 'The other girls were more outraged than I was. Everybody was so embarrassed. People were crying. 'My mum, my step dad and I had spent £7,000 and we'd all taken three weeks off work to travel to the other side of the world for a contest where we'd get to experience different cultures. The model, hair dresser, salon owner and nutrition business entrepreneur – who's been competing in beauty pageants for two years - was invited to take part in the all travel expenses paid event as her prize for being crowned Miss GB in September last year. She spent £3,000 on outfits need for the competition while her proud parents, social worker Louise, 50, and trucker Alan Atwill, 47, spent £4,000 on flying out to join her in the Melaka beach resort last month. But when they arrived Saffron was rehearsing for the event daily until as late as 5am, perfecting routines including a complex dance number for the show. Her only free time was spent being taken around all the developments being managed by the sponsor, Kerjaya Prospek – the firm which built the Swiss Garden Hotel they all stayed in. Saffron continued: 'I didn't mind all the work and the tours. I was just really excited to be representing Great Britain at this global event. The girls were invited to talk on stage while someone waited backstage with sashes to present to them all. Then the presenters claimed there'd been a technical error and that they would be recalling the finalists again. Saffron said: 'They left us standing on stage for 20 minutes before myself, Miss Panama and Miss Venezuela didn't make the re-count, and we all went off stage. 'Only 18 girls went back on stage when the winner was eventually crowned, including myself. But it wasn't the winner Miss Colombia's fault! Her mum Louise added: 'I've been shocked, disgusted and in utter disbelief. How can they treat Miss GB like this? 'The number of people who expressed their disgust and sympathy, even the organiser's staff, spoke volumes. Giorgiana Rosas who competed as Miss Venezuela and was similarly removed from the final, said she burst into tears when the competition was recalled. A Miss GB spokeswoman said: 'A Miss Tourism World statement has explained that there was a technical glitch in the computer involving one of the judge's scores not being recorded correctly. 'They had an immediate manual check and the re-count of the top five at their grand final on 27th January. 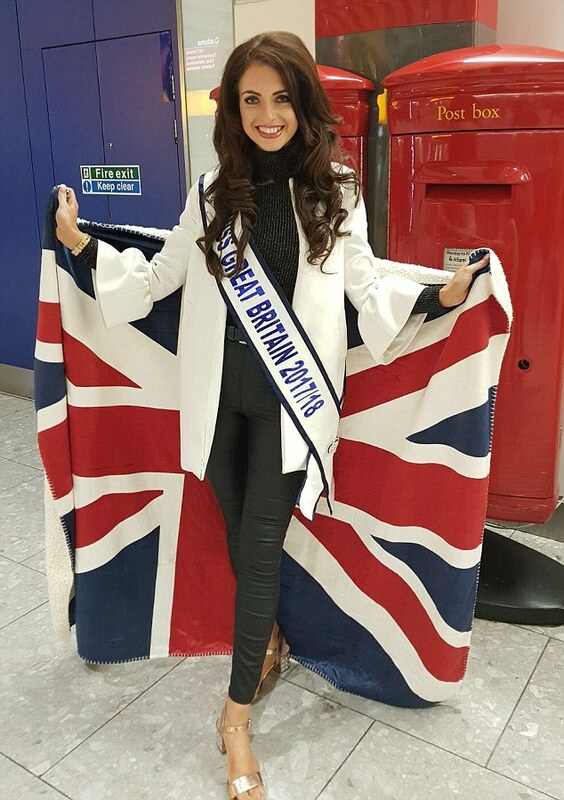 'We're incredibly proud of Saffron and how she represented the Miss GB brand in Malaysia. 'We're saddened on Saffron's behalf that she hasn't received a personal explanation or apology. Miss Tourism World has refused to respond to a MailOnline request for a comment.